India has a come a long way since independence in 1947. The country is close to achieving self-reliance in agriculture and power generation, which is quite an achievement, given that there are 1.252 billion people living here. There has been rapid infrastructure development. However, healthcare is a different story. Sure enough, things have improved here. Life expectancy has gone up from 37 years in 1951 to 67 years in 2011. Malnutrition in children has dropped significantly too. But much remains to be done in this space. In fact, many of the health indicators in India are quite appalling really. This is worsened by the fact that one in six Indians are living in slums in unsanitary conditions without indoor toilets, and this is one major cause of poor health. There hasn’t been too much of an improvement in this since the pre-independence days. Katherine Mayo, the American researcher and historian, came out with her report titled “Mother India” in 1927. Gandhi sarcastically called it the “drain inspector’s report”. Though it contained a lot of other stuff, some of the report’s content still cannot be completely ignored. But what’s been most worrying is that the government doesn’t seem to realize the gravity of the situation. Investment in healthcare remains abysmally low. Less than 1% of the world’s total expenditure on healthcare happens in India, though the country houses one-sixth of the world population. In fact, some of the states actually decreased their spending on this sector. India’s President Pranab Mukherjee had to issue a statement recently. He said that the country must increase spending on healthcare by a great deal, and overhaul its healthcare delivery system. Clearly something needs to be done quickly. The masses certainly deserve better healthcare. Private hospitals and clinics offer better facilities, but they are costly. A large section of the population depends on government health facilities. India needs better government healthcare infrastructure. There is finally some good news though. India is waking up to the fact that something must be done urgently to rectify its healthcare. And the country is taking the right approach. Authorities are looking at various ways in which technology can be used to better the ground realities. The best part of this is that, the initiatives are not just from the government side. Private parties are chipping in too. Take for instance the initiative by Dimagi, a software consultancy firm from Cambridge, Massachusetts, which is headed by Indians. “Dimagi” is a Hindi word that means “smart”. And their CommCare software is indeed smart. It is becoming increasingly popular within the Accredited Social Health Activist (ASHA) program. Using this free open-source program, organizers are helping community health workers deliver patient care in remote villages through mobile phones and the internet. Referred to as M-Health, it uses multimedia to engage villagers. ASHA is collecting and tracking patient information, managing individual cases over time, and demonstrating the correct healthcare practices with video and audio clips. More than 750,000 ASHA units have been trained already and dispatched to the field under the National Rural Health Mission of India. The units are already treating a lot of health issues like malaria, maternal health, AIDS, tuberculosis, and malnutrition. However, Dr. VikramSheel Kumar, chief medical officer and co-founder of Dimagi warns that, “Dimagi cannot do it all in India alone. It’s too big a country. But we are trying to make a difference by improving the healthcare delivery mechanism in India”. RA Mashelkar, the former Director General of CSIR (Council for Scientific and Industrial Research) agrees. “We need technology for addressing issues like the high incidence of anemia prevalent among women in rural India, and such others”. He feels technology can definitely play an important role in resolving healthcare issues in rural India. The government has finally realized how important hygiene is for health. India is far behind the western world in waste management, and is thus inviting overseas firms to set up facilities and create a system for technology absorption. Systems specialists, engineers, sociologists, entrepreneurs and even economists have been invited for a knowledge-building effort. Tax holidays and soft credit is being offered for setting up and managing waste management facilities. There is a lot of technology involved in this. The plan is to turn all this waste into electricity, and make India an energy-surplus country within the next 10 years. 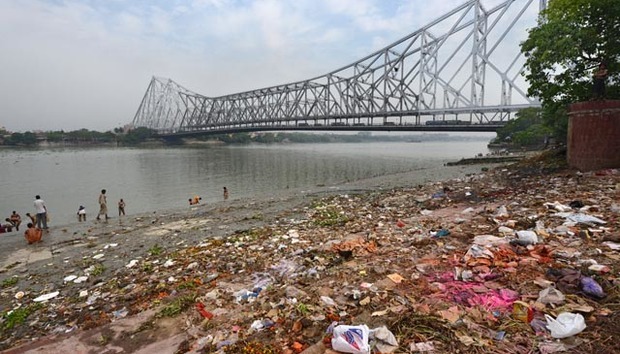 The Swachh Bharat (Campaign Clean India) initiative was launched recently to clean up the rivers and roads to achieve better hygiene and sanitation. This will lead to better health. In this program, central and state governments are supposed to create community and individual toilets, and municipal solid waste facilities in 4,041 towns. There is a reason for the unsanitary living conditions. Every day, urban India generates 188,500 tonnes of waste, and it is going up by 50% every decade. Landfill space is hard to find in urban centers. Dumpsites in almost all cities are already handling more waste than they can hold. Uncollected waste causes poor hygiene and poor health. Using technology to solve the issue is a step in the right decision. And India is doing just that. The Waste to Energy Research and Technology Council (WTERT) has been established. Katherine Mayo may have raised several issues in her 1927 “Mother India” which are still relevant today. But in a rapidly changing India, there is renewed hope now that most of these might finally be solved - even if it takes a decade or two.